Below is the video produced for the June 25th, 2011 memorial service for Rudyard, Desmond and Oscar Bear, our triplet sons. Please be warned: while this video contains a handful of images from their brief lives, it also contains some imagery captured shortly after their passing. If you’re disturbed or offended by this sort of thing, please don’t feel any obligation to watch. Thanks for celebrating them with us. Very first of all, you should know that the whole reason for this blog has more to do with the comments section than anything I could possibly have to say. We’ve been brought to tears again and again throughout yesterday and this morning by your wisdom, thoughtfulness, faithfulness and amazing autobios in the comments of previous entries (not to mention notes on Facebook and Twitter). Carey was having a particularly difficult morning and it was your beautiful sentiments, read aloud to her by me, that carried her through. Content yourself in knowing I used all my oral interp skills to represent you and I apologize for any mispronunciations. I’ve said it before and I have to say it again: thank you. We covet every message and I mean it. If we could reply to you individually right now, we surely would. And the hits kept on coming. We enjoyed a little dinner and a nurse brought in a cot for me, so that I wouldn’t need to ride a chair for the third night in a row. Carey popped a sleeping pill and we began to drift off to dreamland. We weren’t out of the woods, but, for the first time in days, things were looking a little better. Matters took a turn, though, around 2:45 AM. An uncomfortable itching and some cramps were keeping Carey awake and we called in a nurse. She hooked up a monitor and confirmed it: some minor contractions. Temperature was fine, fluid leakage was next to none… everything was looking good except for that little wavy line on the contraction printout. Over the course of the next several hours, what began as a mild irritation turned int0 what appeared to be full-blown labor pains. We ordered up the contraction medication and no effect. Hours later, Carey wound up calling Dr. Chao on her personal cell to petition for a different contraction medication and Chao relented. This one helped, but by no means fixed it. Everyone was getting concerned that Carey might be going into labor. The pain had intensified to a startling degree and even though it was the last thing anyone wanted, we were forced to order up Morphine. It helped for a half hour or so, but wore off quickly. We were doing our best to avoid being shipped off to Labor and Delivery. Delivering these babies at 22 weeks (as of yesterday), as the doctors keep reminding us, more or less means Game Over. A NICU doctor paid us a visit for a quick consult, wearing a “I lost the rock-paper-scissors tourney in the hall, so it looks like I have to break the bad news” expression the whole time. He gave us a lot of odds and statistics and some genuinely helpful insights on our post-partum infants. Most of it we’d heard before, but I suppose the medical community isn’t really doing their job if somebody doesn’t come in at some point each day and remind us our kids are a cough away from the Grim Reaper. And likely brain damaged or disordered if they do happen to hang in there. It wasn’t an all-bad-news day, though. Fluid and blood leakage: next to none. Blood work: good. Temp: normal. Dr. Chao eventually came in with a much-needed post game on the day. The contractions are real, but it’s Baby A that’s amplifying them. Specifically, his lack of a filled sac is causing him and the other two to apply pressure to the pelvic nerve and uterine ligaments, which is excruciating. Also, the issue was keeping Carey from emptying her bladder. A catheter meant more infection risk, but what had to be done had to be done. After the catheter, she’s feeling significantly better. And no, she doesn’t seem to be in labor. So, we’re at 22 +1. I wish I could say our odds are better than yesterday, but they’re not. In fact, the only difference between our situation today and our situation yesterday is we’re a day closer to 24 weeks, without infection. So far, anyway. Needless to say, we’ve been waiting in the eye of a mighty whirlwind since Carey’s water broke a couple of nights ago and she was admitted to the BirthCare unit at Long Beach Memorial. 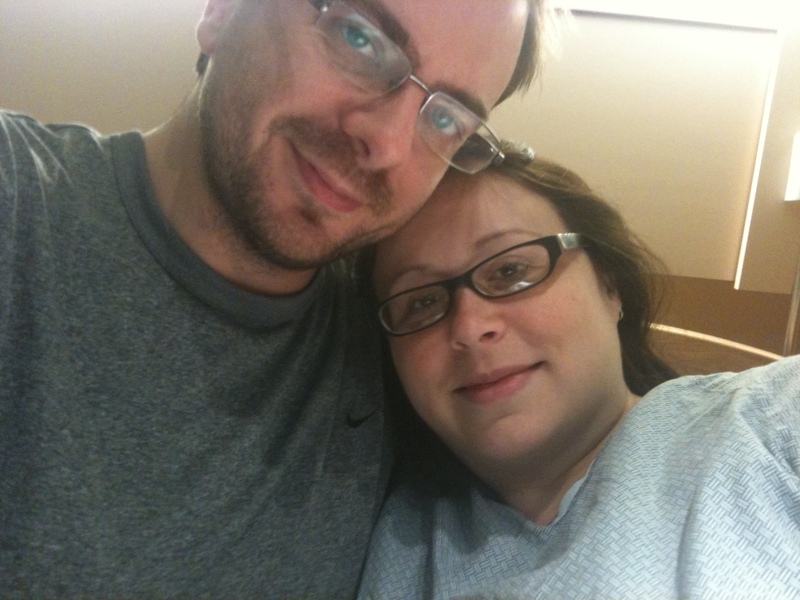 We’ve spent all of our time in the hospital since then and, as you’d imagine, our OB warned us that we were in for a very long night and day to to follow. And, of course, she was right. Chan looked at our ultrasound and described what’s happening. Baby A, who’s lowest, next to the cervix, is the baby whose sac ruptured. By yesterday morning, the amniotic fluid had drained more or less completely, causing the sac to, in Chan’s words “shrink wrap” around him. What fluid is left is in the pockets around his body and Carey continues to leak amniotic fluid throughout the day and night. The biggest problem with this isn’t necessarily that Baby A has less fluid or that he’s all scrunched up in a ball (those things are big problems later down the line, but it’s not the immediate concern). A fetus is able to survive in those conditions and A’s heart continues to beat just fine, but it’s the risk of infection that worries everyone here at Memorial. Carey was experiencing minor contractions when she was admitted (so small that she couldn’t even feel them), but they put her on medicine to counteract it during the first night. Eventually, Chan made the ruling to take her off the contraction-blocker, as it was only serving to mask infection. The trouble with infection is that it begins as perfectly safe bacteria that’s either introduced into Carey’s body from the outside or already exists there to begin with. Our bodies are accustomed to it and our immune systems keep everything in equilibrium, but the game changes during pregnancy. 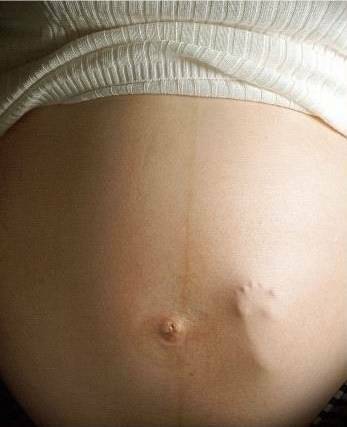 Hormones make gestating fetuses extremely susceptible to any sort of infection and the barriers between our children and certain disaster are the cervix and the sacs. At one centimeter dilated and the bottom most sac ruptured, that’s very bad news. A lot of people have asked if it’s possible to save the other two if something happens to Baby A and Chan explained that, with infection, it doesn’t exactly work like that. Any direct, invasive action taken to address the situation introduces more bacteria and increases risk of infection. It’s not really a matter of taking one baby out to save the other two. There are definite exceptions, but in most cases, if one becomes infected, it’s likely the infection will progress to the uterine lining and other placentas. And if that happens, it becomes a matter of saving Carey’s life instead of the babies. He discussed Options with us. He warned us that to continue down this path could make it very difficult for Carey to get pregnant in the future. He said that the odds weren’t with us and there’s a strong possibility of handicapped children, even if things begin moving in a positive direction. He mentioned that we’re still a couple of weeks away from 24 weeks, the Age of Viability, and that’s the point where he’s no longer allowed to treat termination as an option. He asked if we would object to any termination discussions from here on out. Carey and I weren’t exactly sure what to say. We’re Pro Life people. Carey in particular is a hard and fast believer in the sacredness of all life, including-but-not-limited-to human beings, born or unborn. We’ve agreed that nature is better at deciding these sorts of things than we are. But, like that annoying instigator who throws up his hand in the midst of every college Ethics course discussion and plays the devil’s advocate, life is testing what we believe by introducing an extreme scenario. We finally said we want to wait and see. “How often does that happen?” we asked. Later, Carey and I were discussing what we thought. What should we be praying for? Is there any hope left for our boys? She agreed. So that’s our prayer. People have been absolutely astonishing with their prayers and encouragement. To anyone who says blogging and social media is a waste of time, I say, respectfully, that Twitter, WordPress, Facebook and txt messaging have been our saving grace and anchor throughout this impossible time. All over the world, we’ve received emails and txts, wall posts and blog comments, tweets and retweets from dearly loved family and friends and also Tweeters and Bloggers we’ve never met with encouragements, prayers and soothing words that have given us smiles and hopes in our darkest hours. It would be impossible to describe all the encouragement we’ve received, but I want to mention one or two. Marisa Palma: thank you for bringing meal after meal to the hospital. Jerry and Pat Giles: thank you for getting out of bed at an ungodly hour to come and pray for us and give us a desperately-needed Psalm. Mom, Dad, George, Shannon, Kelley, Erin, Lauren, Schwyzen, Danielle: thanks for crying with us on the phone and asking and listening. It’s okay that you’re not sure what to say. Being there for us is enough. If you’ve txted us or posted something on your wall or commented or tweeted or retweeted: thank you. If you’ve had a life long faith and are praying, or if you’ve told us, “I’m not a praying sort of person, but I’m praying for you,” or if you’ve simply wanted to send us good thoughts or vibrations or love or care or anything at all: thank you. Thanks also for being understanding about what Carey and the boys need most. It’s entirely possible that we’re unable at a given moment to take your call or receive an in-person visitor, particularly if you’re getting over a cold or something that could be dangerous. Please don’t hesitate to ask if it’s an okay time, though. If we’re able to talk or see you, we certainly would love to. Most of all, please continue to lift us up. It’s a difficult time and it’s far from over. We’re trying our best to stay positive and get sleep when we can (I’ve gotten pretty used to this beside chair at this point). I’ll continue to update Twitter when I can. We’re going to keep hoping. Hope with us, would you? The wife woke me up this morning by grabbing my hand and putting it on her belly. I was coming out of a fairly complicated dream involving time machines and Halloween parades, but after a few seconds I felt it: kick. “Holy cow, that was huge,” I said. Not only was it feel-able, it was strong. Purposeful. Somebody’s in there. The last several weeks, I’ve been waiting and feeling with no luck. I’d detect little murmurs here and there, but I was never quite sure if I was feeling a baby or a heartbeat, maybe Carey’s stomach growling. I’d tried to coax them now and then (“Gnomes, this is your father. Let me know you’re in there, please.”), but this was the real thing. I took my hand away and looked at her belly. After a few seconds, a tiny bulge popped up-down where my hand had been. Another kick. And this time I was seeing it. I’m not sure if it was B or C, but someone near the top wanted to let me know they’re there. 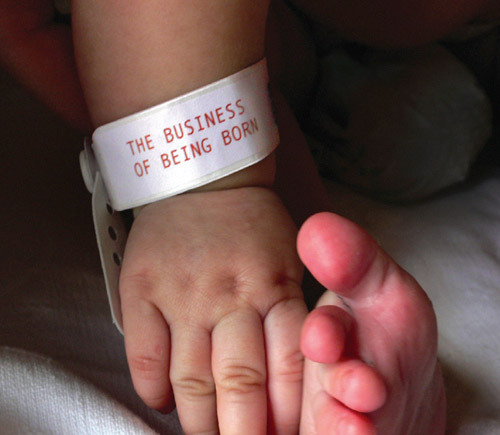 My wife and I purchased The Business of Being Born, a documentary about the decisions expectant couples (particularly American mothers) make concerning the delivery of their new children, shortly after she discovered her pregnancy and shortly before we discovered we were having triplets. We were in a strange sort of multiples-limbo when we watched the DVD. It was our Dark Weekend, just after our OB had told us she saw multiples, but it wasn’t yet confirmed that we had 3 (our fingers were crossed that the scans would confirm twins, but no such luck). We settled into our viewing of TBoBB, having only read a few comments online and watched the trailer. Carey had heard great things. In general, the film’s advertising is a little misleading. It’s billed as a sort of blow-the-conspiracy-wide-open piece of investigative journalism about the shady practices of hospitals and their care (or lack thereof) of women in labor. Those elements are certainly present in the film, but I suppose I was a bit unprepared for what turned out to be a 90 minute commercial for midwives. Make no mistake, they make a compelling case. You walk away sufficiently terrified of American hospitals and 90% of American doctors. The statistics and history presented are sobering: from the “scientific” emphasis on birthing in the first half of the 20th century (leading to absolutely horrific, concentration-camp-style scenarios for women in labor), to the Thalidomide crisis, to the contemporary overuse of the dreaded labor-inducing drug Pitocin. It paints a picture of American doctors as a lazy and distracted group who often can’t be bothered. Or, what may be worse, a medical community beholden to insurance company bottom lines and hospital room turnover rates. We follow a midwife around, going about her midwifery and along the way we pick up lots of useful information about how things are done outside of the United States, where midwives are used much more frequently (resulting in far better infant mortality statistics). You get the sense that it’s not just a run-and-gun sort of job, that midwives sincerely do put their heart into their craft. You see the relationships between mothers and midwives and you’re left with the impression that these people genuinely do know more about baby birthing than their competition, doctors and nurses. Overall, there’s no shortage of midwife-focused information, with plenty of genuinely exciting and heart-filled moments mixed in. It’s a decidedly biased take on the business of birthing, with a perspective sitting squarely in the home-birth camp and it’s helpful to know that going in. I can’t fault the film for having precious little information about multiples pregnancies. After all, it’s really not the subject of the documentary. But it would have been nice to at least a mention a few instances, like ours, where home-births aren’t necessarily the best idea. After watching this, my poor wife has been trying to figure out a way to work out a natural, vaginal, midwife-assisted home birth for our triplets, but the experts continue to tell her No Dice. As soon-to-be parents via C-section, it is, in retrospect, unsettling to recall the section dedicated to the horrors of C-sections. From botched attempts to the lack of proper hormone-release, mother-to-child, the film makes it clear: TRUST US, YOU DON’T WANT A C-SECTION. I can appreciate that it should be more of a weapon of last resort rather than a part of the baby-and-a-tummy-tuck assembly line that’s become fashionable in recent years for pregnant celebs and ladies of means. But for those of us who are doing it out of genuine necessity, it’s fairly disheartening. Anyhow, as a documentary, it works pretty well and it clearly has an agenda, which isn’t necessarily a bad thing. I wouldn’t go so far as to call it required viewing for anyone expecting children, but it certainly couldn’t hurt, particularly if your mind isn’t made up about how to handle labor and delivery. My wife has worn a belly button ring for, I don’t know, probably almost a decade now. Every so often, over the years, I’ve asked her if she’d ever take it out. And a few days ago, as news of Osama Bin Laden’s timely demise barked from the TV, Carey was standing in front of the bathroom mirror, deciding to remove it. It was getting pretty uncomfortable, see. Time to go. So, my counter-culture, hippy-trippy, vegan activist wife is surrendering herself over to motherhood, moment by moment and bit by bit. I’m not sure why, but seeing her pop that thing out was a surprisingly momentous picture for me and I’m not entirely sure why. See you later, childhood. Next stop: Who Knows Where.